Final Objective: On completion of this module, you will have good knowledge of the pharmacology of the main drugs used in anaesthesia. Outline the pharmacology of anaesthetic drugs including induction agents, muscle relaxants, anticholinesterases, opioid drugs, sedatives and anti-emetics. Describe the physiological effects of these drugs. Evaluate the factors involved in the choice of agents for induction and maintenance of anaesthesia. Know the side-effects of anaesthetic drugs and the principles of their management. Identify contra-indications to the use of individual agents in specific patients. Developing Anaesthesia Chapters 21, 22, 23, 24 & 38. Pain seminar Chapters 3, 4 & 6. Oxford Handbook of Anaesthesia. Chapter 42. The anaesthetist must be familiar with a wide range of drugs to facilitate safe and effective anaesthesia. Intravenous induction of anaesthesia is a safe, reliable, pleasant method of inducing anaesthesia. However, intravenous induction can be very dangerous in some patients. Most intravenous induction agents will cause apnoea and relaxation of airway muscles resulting in airway obstruction. Intravenous induction agents should be used with extreme caution for patients whose airway may be difficult to manage. For these patients inhalation induction, awake intubation or ketamine may be safer. Intravenous induction agents must not be given by individuals who are not skilled in airway control. Ketamine will mildly depress respiratory rate and tidal volume. It has a minimal effect on responsiveness to hypercarbia and will maintain protective laryngeal reflexes longer than with other intravenous induction agents. Muscle tone is usually well maintained. However, even with ketamine a safe airway is not guaranteed as airway obstruction can still occur and there is still a danger of aspiration of gastric contents. Most intravenous induction agents except ketamine will cause a fall in blood pressure. The healthy patient will compensate by vasoconstriction and an increase in their heart rate. However, some patients cannot compensate (hypovolaemia, high spinal, fixed cardiac output) and intravenous induction agents can cause severe hypotension. Hypovolaemia must be treated before induction of anaesthesia. Common intravenous induction agents include thiopentone, methohexitone, propofol and ketamine. Propanidid and althesin are not available now because of the high rate of allergy to these drugs. Benzodiazepines and opioids could be used as intravenous induction agents but have a very long duration of action. Thiopentone and methohexitone are ultra-short acting barbiturates, causing unconsciousness rapidly. The usual intravenous dose of thiopentone is 3 – 5 mg/kg, given slowly until consciousness is lost. The loss of the eyelash reflex is a good guide to loss of consciousness with thiopentone. Patients awaken because of the redistribution of thiopentone from the brain to other organs. Patients given repeated doses or an infusion would be unconscious for hours to days. Thiopentone is not an analgesic. Thiopentone must not be used if the patient is allergic (1:30,000) or has porphyria. It should be avoided or used with extreme care if the patient has an obstructed airway, uncompensated heart disease (severe mitral stenosis, aortic stenosis, constrictive pericarditis, cardiac tamponade) or severe shock. Hypovolaemia must be treated before administering thiopentone. If hypovolaemia is suspected, the dose and speed of administration of thiopentone must be greatly reduced. Accidental subcutaneous injection will cause pain and redness. Accidental intra-arterial injection will cause severe pain, spasm of peripheral arteries and potentially loss of fingers/hand. Thiopentone will cause respiratory depression. Patients given an anaesthetic dose of thiopentone usually take 2 or 3 big breaths and then become apnoeic. Propofol is an intravenous induction agent very similar to thiopentone and has some important advantages, however it is more expensive. The usual dose is 2 – 2.5 mg/kg. Allergy is reported to be less common (1:60,000). Like thiopentone, propofol will cause respiratory depression and loss of airway reflexes. It should not be given by doctors who are not skilled in airway management. Propofol causes a greater depression of pharyngeal reflexes, making it easier to insert a supraglottic airway (eg. laryngeal mask). Propofol, unlike thiopentone, may also be administered as an infusion or repeated dose. (For example: loading dose 1.5 mg/kg, infusion at 12 mg/kg/h for ten minutes, then at 10 mg/kg/h for ten minutes and finally at 6–8 mg/k/h titrated to effect). Ketamine is an unusual intravenous induction agent. It has hypnotic (sleep producing), analgesic and amnesic (short term memory loss) effects. Unlike other intravenous induction agents it causes trance like anaesthesia (dissociative anaesthesia). The patient’s eyes may remain open and there may be movement of their limbs but the patient will not respond to pain. Ketamine has some important advantages compared to other intravenous induction agents including bronchodilatation, minimal respiratory depression, cardiovascular stimulation and analgesia. Corneal, cough and swallowing reflexes may all be present but should not be assumed to be protective. Ketamine will usually maintain airway patency however it does not guarantee protection against aspiration. The pupils dilate moderately and nystagmus occurs. Lacrimation and salivation are common as is increased skeletal tone and often movement of arms, legs and head. The intravenous induction dosage of ketamine is 1 – 2 mg/kg (intramuscular 5 to 10 mg/kg, lasting 10 to 15 minutes). Repeated doses (quarter of the intravenous dose or half of the intramuscular dose) may be given to prolong anaesthesia. Analgesia occurs at much lower blood levels than loss of consciousness. This means that there is a long period of postoperative analgesia after ketamine anaesthesia. Ketamine undergoes hepatic metabolism and dose reduction should be considered for patients with liver disease. It has minimal effects on respiratory drive but may cause transient apnoea after rapid intravenous administration. Ketamine is a good bronchodilator Oxygen should be administered to all patients. Ketamine causes a rise in blood pressure (25%), a rise in stroke volume (20%) and a rise in heart rate (20%). It is a good induction agent for the patient who is shocked, but all effort should be made to treat hypovolaemia before administration of an anaesthetic. Ketamine may not be suitable for patients with significant coronary artery disease. Undesirable psychological reactions associated with excitement, confusion or fear may occur in 5 – 30% of patients. The incidence is higher in adult, males, larger doses and rapid administration but may be reduced by premedication with benzodiazepines. Ketamine causes a rise in intracranial pressure and intraocular pressure and is not suitable for patients with raised intracranial pressure. It should also be avoided in patients with psychiatric disorders or hyperthyroidism. The benzodiazepines commonly used in anaesthesia are diazepam, midazolam, lorazepam and the antagonist flumazenil. Their actions include sedation, amnesia, reduced anxiety, and muscle relaxation and anticonvulsant action. They are not analgesics. Benzodiazepines act on spinal internuncial neurons and not the neuromuscular junction to cause skeletal muscle relaxation. Benzodiazepines will cause dose dependent respiratory depression. They are rarely required postoperatively unless they are used to treat seizures. Benzodiazepines are usually used for premedication or sedation. Benzodiazepines produce their effects by facilitating the actions of gamma-aminobutyric acid (GABA), the main inhibitory neurotransmitter in the brain. Midazolam is a water-soluble benzodiazepine. It is two to three time more potent than diazepam with more rapid onset, greater amnesia and less postoperative sedation. It may be given orally 30 minutes prior to surgery (0.5 mg/kg), mixed with a clear fluid or intranasally 0.3 mg/kg. Doses of 1 to 2 mg I.V are used for sedation in adults. Transient apnoea may occur after rapid injection of large doses of midazolam. The most significant side effect of midazolam administration is depression of ventilation caused by a decrease in hypoxic drive. Diazepam is water insoluble with a more prolonged duration of action. Diazepam 0.1 mg/kg IV is effective in abolishing seizures. It remains a popular oral preoperative medication for adults. Flumazenil is a specific benzodiazepine competitive antagonist. It will reverse all the actions of benzodiazepines in a dose dependent manner. The dose of flumazenil should be titrated individually to obtain the desired level of consciousness. The recommended initial dose is 0.2 mg IV repeated in 0.1 mg IV doses up to 1 to 2 mg. Failure to respond to more than 5 mg indicates the involvement of other CNS depressants other than benzodiazepines. Inhalational anaesthesia forms the basis of most general anaesthetics. In Western countries where ultra-short acting intravenous anaesthetic drugs and computer delivery systems are available, some anaesthetists favour total intravenous anaesthesia (TIVA). Inhalational anaesthetic agents include nitrous oxide and the volatile agents such as ether, chloroform, halothane, isoflurane, enflurane, methoxyflurane, sevoflurane, desflurane, cyclopropane and trichloroethylene (trilene). In developed countries only nitrous oxide, sevoflurane, isoflurane and desflurane are commonly used. Halothane is less available. Anaesthesia can be induced intravenously and maintained with a volatile anaesthetic agent or a volatile anaesthetic agent (halothane, sevoflurane, ether) can be used for both induction and maintenance of anaesthesia. The patient can breathe spontaneously or may be paralysed with muscle relaxants. When muscle relaxants are used, the concentration of volatile anaesthetic agents should be reduced. Spontaneous ventilation with a volatile anaesthetic agent has greater safety. The patient will adjust his or her own dose. If the anaesthetic is “light” the patient will increase their respiratory rate and deepen their anaesthetic. If the anaesthetic is “heavy”, respiratory depression will occur and the patient will inhale less inhalation anaesthetic. Except for ether, methoxyflurane and nitrous oxide, inhalation agents are not analgesics. The analgesia of nitrous oxide and methoxyflurane is not sufficient for general anaesthesia. All inhalation agents apart from ether need to be combined with a powerful analgesic (e.g morphine). There are many factors that determine the speed of onset of an inhaled anaesthetic agent including the inspired concentration, alveolar ventilation, solubility, and cardiac output. Inhalation agents also vary in their potency. The minimum alveolar concentration (MAC) is used to express the potency of inhalation agents. The MAC is the minimum alveolar concentration of an agent required to prevent a response to a skin incision in 50% of patients. The lower the MAC the more potent the agent. The MAC of halothane is 0.76. Inhalational induction with halothane requires the gradual increase of the inspired concentration up to 2 to 4%. A maintenance dose of 1 to 2% is required for spontaneously breathing patients and 0 to 1% during controlled ventilation when administered with 70% nitrous oxide and 30% oxygen. The volatile anaesthetic agents cause a dose dependent decrease in cerebral oxygen requirements. At less than 0.4 MAC they have similar effects on the EEG. Enflurane may cause EEG seizure activity especially at greater than 2 MAC and with hypocarbia (PaCO2 < 30 mmHg). Above 0.6 MAC all agents cause cerebral vasodilation and increased cerebral blood flow (CBF). Intracranial pressure increases in parallel to the increase in CBF. The increase is greatest for halothane, then enflurane and least for Isoflurane. Inhaled anaesthetics produce dose dependent and drug specific circulatory effects. There are changes in blood pressure, heart rate, heart rhythm, cardiac output, stroke volume, right atrial pressure, systemic blood pressure and coronary blood flow because of effects on myocardial contractility, peripheral vascular smooth muscle tone and the autonomic nervous system activity. The effects of desflurane are similar to isoflurane and the effects of sevoflurane are similar to halothane. Inhalation agents produce a similar dose dependent decrease in mean arterial pressure. Halothane causes a reduction in blood pressure by myocardial depression that causes a reduction in cardiac output. The others cause a reduction in blood pressure by a decrease in systemic vascular resistance. Isoflurane, desflurane and sevoflurane increase the heart rate in volunteers. Dysrhythmias are common with halothane, including sinus bradycardias and nodal rhythms. The myocardium is sensitised to adrenaline causing ventricular cardiac dysrhythmias. The other inhalation agents cause much les sensitisation and dysrhythmias. Volatile anaesthetics will cause coronary vasodilation. Inhaled anaesthetics also produce dose-dependent and drug specific effects on the pattern of breathing, ventilatory responses to carbon dioxide, and ventilatory response to hypoxia and airway resistance. Inhaled anaesthetics cause a dose dependent increase in the rate of breathing. Tidal volume is decreased. The increase in the rate of breathing is not enough to compensate for the decrease in tidal volume, leading to a decrease in minute volume and an increase in PaCO2. Surgical stimulation increases minute ventilation by about 40%. Hepatic blood flow is reduced with halothane but maintained with isoflurane, sevoflurane and desflurane. Postoperative liver dysfunction has been associated with most volatile anaesthetics. Halothane produces two types of hepatotoxicity. An estimated 20% of adults receiving halothane develop a mild self-limiting postoperative hepatotoxicity (nausea, lethargy, fever, minor increases in liver enzymes). The other rare (1 in 30,000) immune mediated type of hepatotoxicity causes massive hepatic necrosis and death. Volatile anaesthetics produce similar dose dependent decreases in renal blood flow, glomerular filtration and urine output. Volatile anaesthetics produce dose dependent enhancement of the effects of neuromuscular blocking drugs. All volatile agents can trigger malignant hyperthermia. They produce similar dose dependent decrease in uterine smooth muscle contractility and blood flow. These changes are only low at 0.5 MAC and become significant at 1.0 MAC. There is no evidence that 0.5 MAC causes any increase in uterine bleeding or foetal distress. Volatile anaesthetics at about 0.5 MAC should be combined with 50% nitrous oxide to prevent awareness during GA caesarean section. Neuromuscular blocking drugs (muscle relaxants) act at the neuromuscular junction (NMJ). They can be subdivided into depolarising (mimic the actions of acetylcholine) or non-depolarising (compete with acetylcholine for receptor sites). Neuromuscular blocking drugs produce skeletal muscle relaxation, which allows easier intubation of the trachea, mechanical ventilation and improved operating conditions. Neuromuscular blocking drugs are highly ionised and water-soluble. They are unable to cross lipid layers (placenta or blood brain barrier). Muscle relaxants are not anaesthetic agents and should never be given to a conscious patient. Neuromuscular blocking drugs will stop the patient’s breathing. They must never be given to a patient unless the doctor is certain they can ventilate the patient (either by mask, supraglottic airway or endotracheal intubation). Always give reversal drugs (neostigmine and atropine) for non-depolarising muscle relaxants. Never attempt to reverse non-depolarising neuromuscular blocking drugs before there is evidence of return of muscle tone and breathing or wait at least 20 minutes after the last dose of muscle relaxant. The anaesthetist must never extubate a patient until they are certain that the paralysis has been reversed and the patient has adequate muscle strength to protect their airway and breathe. The neuromuscular junction consists of the pre-junctional motor nerve ending separated from post-junctional membrane of the skeletal muscle fibre by the synaptic cleft. The neuromuscular junction has three types of cholinergic receptors: two types of post-synaptic receptors on the skeletal muscle and one type of pre-synaptic receptor on the nerve ending. The nerve ending has vesicles that contain acetylcholine (Ach). Electrical depolarisation of the nerve increase permeability of calcium ions, which causes the release of Ach that then binds to post synaptic Ach receptors resulting in muscle contraction. Small rapidly moving muscles (eyes and digits) are paralysed first, then the trunk and abdomen and finally the intercostals and diaphragm. Recovery is in the reverse order. The choice of neuromuscular blocking agent depends on required speed of onset, duration of action and side effect profile. Only rocuronium approaches the speed of onset of suxamethonium however it is usually not a substitute for suxamethonium as its duration of action is too long. (This may change with the introduction of the new reversal agent: sugammadex). The newer non-depolarising muscle relaxants (atracurium, cis-atracurium, vecuronium, rocuronium) generally have less side effects and more predictable pharmacokinetic profiles than the older non-depolarising muscle relaxants (pancuronium, alcuronium, tubocurare, gallamine). Only suxamethonium is in regular clinical use. Following administration it ‘mimics’ the action of acetylcholine at the receptors on the motor end plate, resulting in depolarisation of the muscle membrane. This is seen as uncoordinated muscle contractions (fasciculations). Unlike acetylcholine, suxamethonium is not metabolised by acetylcholinesterase and depolarisation persists for several minutes, preventing further muscle activity (paralysis). Eventually hydrolysis by plasma (pseudo) cholinesterase occurs, with restoration of normal muscle function. The depolarising muscle relaxant suxamethonium is structurally two-acetylcholine molecules joined end–on–end, through the succinic acid connecting chain. It is used almost exclusively intravenously. In clinical practice to ensure fast and complete paralysis, a dose of two times the ED95 (1.0 mg/kg) is given. Intermittent doses of 25% of the initial dose may be given to prolong muscle relaxation but the total dose must not exceed 4 to 6 mg/kg. Suxamethonium can be given intramuscularly (2 to 3 mg/kg) however onset is less predictable and delayed. Suxamethonium will produce the best intubating conditions in the shortest time (less than one minute) and has the shortest duration of action (four to six minutes). The rapid onset makes it the drug of choice for tracheal intubation in patients likely to regurgitate and aspirate or in some patients who may have a difficult airway. However suxamethonium has several associated adverse effects that can limit or even contraindicate its use. The adverse effects of suxamethonium include stimulation of muscarinic acetylcholine receptors of the cardiac sinus node (bradycardia, atrio-ventricular arrhythmias, ventricular arrhythmias), depolarisation of the neuromuscular endplate (increased intracranial pressure, increased intraocular pressure, increased intragastric pressure, release of intracellular potassium, myalgia, masseter spasm and trigger for malignant hyperpyrexia), prolonged paralysis and anaphylaxis. Bradycardia is more common with repeated doses or when vagal tone is high (paediatric population) or there is concurrent parasympathetic stimulation (dilatation of the cervix, traction on intraabdominal structures, manipulation of the carotid bodies or eyeball). Suxamethonium is usually avoided in patients with penetrating eye injuries however the anaesthetist must consider the risk of aspiration in the non-fasted patient (usually the rise in intraocular pressure due to the vomiting and coughing associated with an eye injury far exceeds that caused by suxamethonium). Prolonged paralysismay be caused by excessive dosage (greater than 4mg/kg) or reduced metabolism by cholinesterase. The genes for the inheritance of plasma cholinesterase are autosomal. Homozygous atypical plasma cholinesterase occurs 1: 3200 and these patients may have muscle relaxation prolonged for hours (2 to 4 hours). Heterozygous patients (1: 480) have the duration prolonged only minimally. Treatment consists of ventilatory support with maintenance of anaesthesia or sedation until recovery occurs. The patient should be warned and given information to alert future anaesthetists and because of its inherited nature, the remainder of the family should be investigated. Cholinesterase deficiency may also be acquired. Cholinesterase activity may be reduced because there is reduced production (liver failure, starvation, carcinoma, hypothyroidism), or inhibition of cholinesterase by other drugs (nerve gas, insecticides, ecothiopate, methotrexate). In normal patients, suxamethonium depolarizes acetylcholine receptors, resulting in an efflux of intracellular potassium ions with a rise in plasma potassium concentration of 0.2 to 0.4mmol/l. With deprivation of neuronal influence or activity, the rise in potassium can be lethal. The exact onset and duration of susceptibility to hyperkalaemia with suxamethonium is unknown. It would be wise to avoid suxamethonium beyond 48 to 72 hours of denervation/immobilization or any other pathological state where acetylcholine receptor numbers are known to increase. It is prudent to avoid suxamethonium until recovery and muscle function has returned to normal. With burns this would be until wounds are healed, protein catabolism has finished and the patient is mobile; a process of one to two years with major burns. Paraplegics and quadriplegics may be susceptible for life. Non-depolarizing muscle relaxant drugs compete with Ach to occupy neuromuscular junction Ach receptors. They therefore block the action of Ach. Non-depolarizing muscle relaxant drugs need reversal of their action. Because non-depolarising muscle relaxants act through a competitive mechanism, increasing the concentration of acetylcholine by inhibiting acetylcholinesterase with an anticholinesterase will reverse paralysis. The pharmacodynamic parameters that best clinically describe neuromuscular blocking agents are potency (effective dose 50 [ED50] and effective dose 95 [ED95]), onset, and clinical duration of action, speed of offset and total duration of action. The ED95 of muscle relaxants is reduced in the presence of volatile anesthetics. This reflects a pharmacodynamic interaction. Other drugs, which enhance neuromuscular blockers are aminoglycosides, local anesthetics, cardiac antidysrhythmics, diuretics, magnesium and lithium. The volume of distribution for muscle relaxants is larger in children. Therefore a greater initial dose is required. The speed of onset is higher in children because of the increased cardiac output. Conversely, in the elderly with a less dynamic circulation, the speed of onset may be delayed. Other physiological changes of aging that will effect the pharmacokinetics of neuromuscular blocking drugs include a decrease in muscle mass and deterioration in renal and hepatic function. Pregnancy has minimal effects on the pharmacodynamics and pharmacokinetics of muscle relaxants. (Magnesium used in the treatment of pre-eclampsia will increase muscle relaxant effects). Muscle strength is reduced during hypothermia, both in the presence and in the absence of neuromuscular blocking drugs. A 2 degrees Celsius reduction in body temperature may double the duration of neuromuscular blockade. The different and often rare neuromuscular disorders will respond differently and potentially lethally to non-depolarizing and/or depolarizing muscle relaxants. Suxamethonium will cause prolonged muscle contractions in individuals with myotonia dystrophia and is contraindicated for individuals with Duchenne’s muscular dystrophy as suxamethonium may cause rhabdomyolysis, hyperkalaemia and cardiac arrest. Patients with myasthenia gravis demonstrate resistance to suxamethonium but increased sensitivity to non-depolarising muscle relaxants. Because non-depolarising muscle relaxants act through a competitive mechanism, increasing the concentration of acetylcholine by inhibiting acetylcholinesterase will reverse paralysis. The commonly used acetylcholinesterase inhibitors are neostigmine (0.03 to 0.06 mg/kg), edrophonium (0.5 to 1.0 mg/kg) and pyridostigmine (0.25 mg/kg). Physostigmine is not used to reverse neuromuscular blockade because the dose required is excessive. All other agents have similar pharmacokinetics; clinical differences reflect differences in pharmacodynamics. Edrophonium has a more rapid onset of action. Renal clearance accounts for 50% of neostigmine and 75% of pyridostigmine and edrophonium elimination. Their duration of action is prolonged to a greater extent than most non-depolarising muscle relaxants in renal failure. Pancuronium and alcuronium have longer half-lives than pyridostigmine, neostigmine and edrophonium. Inhibition of acetylcholinesterase not only increases the concentration of acetylcholine at the neuromuscular junction but also at all other synapses that use acetylcholine as a transmitter (muscarinic receptors of the parasympathetic nervous system, nicotinic receptors of the autonomic ganglia, and the smooth muscle, especially of the respiratory and gastrointestinal system). Increased acetylcholine at these sites causes bradycardia, hypotension, bronchoconstriction, bronchorrhea, increased postoperative nausea and vomiting, hypersalivation, lacrimation, miosis and increased bowel motility. In order to prevent adverse muscarinic cholinergic effects, anticholinesterase drugs are administered in combination with anticholinergic drugs (atropine or glycopyrrolate). Ideally the anaesthetist can monitor muscle function with a peripheral nerve stimulator. If a peripheral nerve stimulator is not available the anaesthetist must use clinical signs of adequate reversal. Rapid shallow breaths are not evidence of adequate muscle strength. Even with a tidal volume of 5 ml/kg the patient may still have 80% of Ach receptors blocked. A tidal volume of 5 ml/kg is a poor sign of adequate muscle strength. Clinical signs of adequate muscle strength include a vital capacity of 20 ml/kg, head lift for 5 secondss and normal handgrip. Unfortunately all require some patient co-operation that may be difficult after a general anaesthetic. The head lift should be done with the patient lying flat and must be unassisted. Handgrip needs to be tested before anaesthesia so that the anaesthetist can judge if the patient can squeeze their hand as strongly as before anaesthesia. § If neuromuscular blockade reversal is adequate to allow safe extubation. Assessment may be visual, tactile, mechanical or electrical. Stimulation should be a unipolar square wave of 0.2 to 0.3ms. It should be supramaximal (stimulation should simultaneously depolarise all nerve fibres within the nerve). It should not cause direct stimulation of the muscle. The current required may be between 20 to 60 m Amp, but not more than 80 m Amp. Different muscles groups have different sensitivity to neuromuscular blocking agents. The adductor pollicis muscle (ulnar nerve) is most commonly used. Importantly the diaphragm requires 1.4 to 2.0 times as much muscle relaxant as the adductor pollicis for the same degree of relaxation and the diaphragm recovers more quickly so that if the adductor pollicis muscle has recovered from neuromuscular blockade the anaesthetist can safely assume that diaphragm has no blockade. The positive electrode is usually placed proximally. To monitor the adductor pollicis the distal (negative) electrode is usually placed about 1 cm proximal to the proximal flexion crease of the wrist lateral to the tendon of flexor carpi ulnaris. The proximal (positive) electrode is placed 2 to 5cm proximal to the distal electrode. Patterns of peripheral nerve stimulation include single twitch, tetanic stimulation, post-tetanic stimulation count (PTC), train of four (TOF) and double burst stimulation (DBS). Single twitch, tetanic stimulation and post tetanic count are older patterns of stimulation and are rarely used. With single twitch stimulation a supramaximal stimulus is applied every 1 second (1Hz) or every 10 seconds (0.1Hz). It is not a sensitive measure of the onset or recovery of neuromuscular blockade because single twitch stimulation may appear to be normal with still 75 to 80% of neuromuscular Ach receptors occupied. It can be useful as a measure of deep neuromuscular blockade. Tetanic stimulation frequencies vary from 50 to 100Hz. The most common pattern is 50Hz for 5 seconds. A sustained response to this pattern corresponds with adequate reversal however cannot be reliably evaluated by eye or feel and is very painful. It should not be performed in the awake patient. With intense non-depolarising muscle relaxant blockade there is no response to single twitch stimulation or TOF stimulation. It is possible to assess intense blockade by post tetanic count. After a tetanic stimulation of 50Hz for 5 seconds a single twitch stimulation is given every second starting 3 seconds after the end of the tetanic stimulation. A response for PTC will be seen before any response to TOF. For atracurium (0.5mg/kg) and vecuronium (0.1mg/kg) a response to PTC occurs 7 to 8 minutes before the first response to TOF. A PTC of 10 responses indicates that the first response to a train of four stimulation will occur very soon. Train of four and double burst are the two modes of stimulation commonly used in modern anaesthesia. Train of four is excellent for monitoring if neuromuscular blockade is adequate and if it can be safely reversed. Double burst stimulation is used to assess the adequacy of reversal. With train of four stimulation four supramaximal stimulations are given every 0.5 seconds (2Hz). If used continuously each train of four may be repeated every 10 seconds but is better repeated less frequently. If repeated too quickly it may falsely indicate recovery. The fourth twitch can be compared to the first twitch to give the train of four ratio. A ratio of more than 0.9 usually indicates adequate reversal. Unfortunately it is not physically possible to detect a ratio of more than 0.4 (unless special equipment is used) so train of four stimulation may not be useful for determining adequate reversal. Train of four stimulation is very useful for determining if muscle relaxation is adequate or excessive during surgery and when it is safe to reverse the non-depolarising relaxation. After the injection of an intubating dose of a non-depolarising muscle relaxant, train of four stimulation will demonstrate intense blockade within a few minutes followed by gradual recovery from neuromuscular blockade. The duration of intense blockade and recovery will depend primarily on which muscle relaxant is used and the dose given. During the period of intense blockade there will be no response to train of four stimulation. Gradually there will be recovery with first one then two, three and four twitches. When only one twitch is detectable 90 to 95% of receptors are blocked. Most surgery can be adequately performed with one or two twitches present though if prevention of movement is essential, a more intense block may be needed. Reversal of muscle blockade should not be attempted until at least three twitches have returned. Withdouble burst stimulationtwo bursts of 50Hz tetanic stimulation are given 750ms apart. Double burst stimulation was developed because without recording equipment it is not possible to accurately determine the TOF ratio. It is easier to determine fade with double burst stimulation. If no fade is detected with DBS then there is little risk that there is residual muscle relaxation, however when assessing the patient the anaesthetist must always also assess clinical signs of adequate reversal before leaving the patient in the nurse’s care. What are the severe side effects of thiopentone and how should they be managed? What is MAC and what is its significance? How do the pharmacokinetics of a volatile inhalation anaesthetic agent predict its clinical actions? 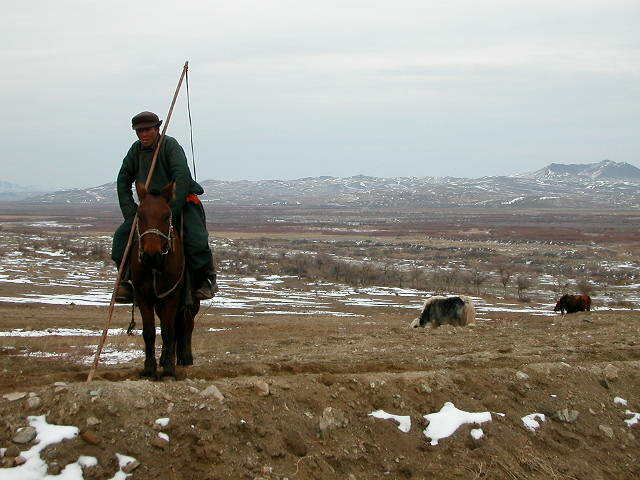 What are the characteristics, dosage and side effects of non depolarising muscle relaxants available in Mongolia? Describe the features of an “ideal” induction agent. Hulan is a 40 year old with chronic renal failure requiring dialysis. She has been involved in a serious car accident and needs immediate surgery for a ruptured spleen. Discuss the choice and dose of induction agent. What equipment must be available and tested before administering a muscle relaxant? She needs a rapid sequence induction. Is suxamethonium safe to use? What are the affects of chronic renal failure on non-depolarising muscle relaxants? Surgery lasts 2 hours and requires repeated doses of non-depolarising muscle relaxant. You administer the last dose of muscle relaxant ten minutes before the end of the case. When should you administer the muscle relaxant reversal agents? How can you tell if Hulan has adequate reversal of her paralysis? Hulan’s daughter was also in the accident. She is 38 weeks pregnant and needs an emergency caesarean section for foetal distress. She refuses to have a spinal anaesthetic. What is your choice of muscle relaxant and why? Describe what actions you would take before and during intubation? What drugs do you give before delivery? Is it safe to use halothane?